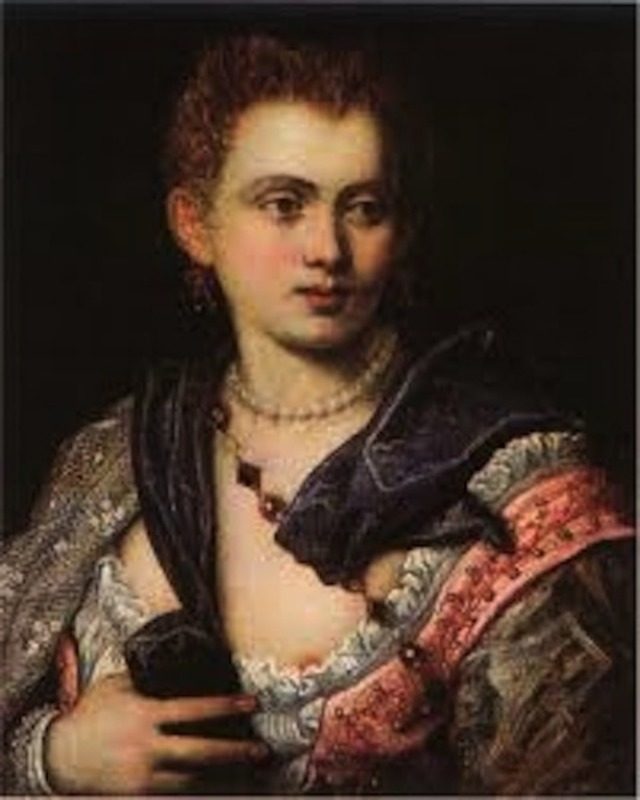 A Portrait of Veronica Franco By Jacopo Tintoretto or Follower Oil on canvas, 16th century Worcester Art Museum, Massachusetts. ARTstor. Although she is indeed the best-known courtesan of Venice, surprisingly, it is quite difficult to come across portraits of her. When it comes to depictions of Franco, A Portrait of Veronica Franco, by either Tintoretto or one of his followers, is the painting that most scholars agree is actually of her. 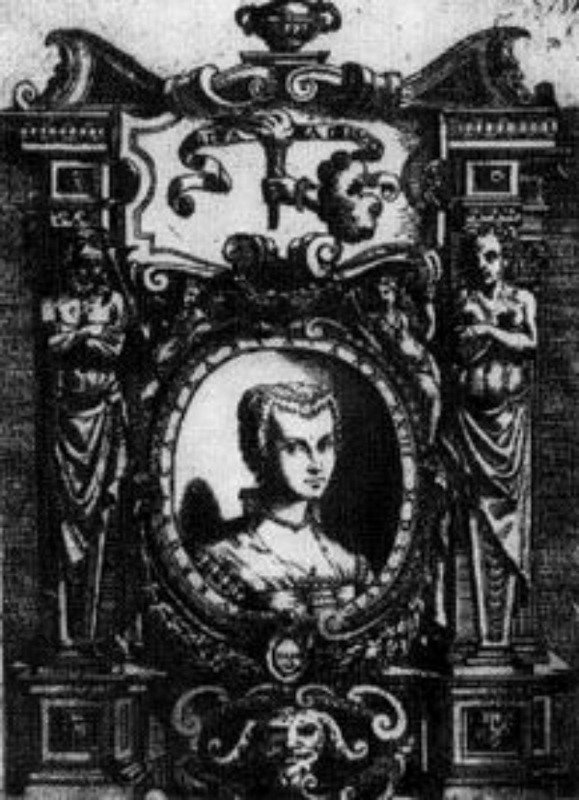 Engraved frontispiece Portrait of Veronica Franco, from Franco's volume of poems Terze rime, published in 1575. Rosenthal. 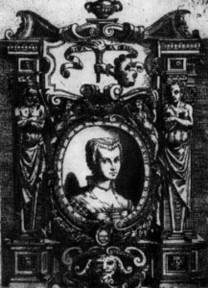 The engraved frontispiece that appears at the beginning of her Terze Rime that does indeed show her and scholars are confident of this because Franco herself mentions within her book that she is depicted on the cover although she is shown looking ten years younger. Other than the previously mentioned paintings where scholars are quite confident that they in do fact depict Veronica Franco, there is little else that mentions her life. Moreover, due to Franco being the most famous Venetian courtesan, many scholars have taken it upon themselves to compare the few images that portray her with other portraits of Venetian women and concluding that these women are courtesans as well because of what is known about Franco. Needless to say, this methodology of identifying portraits is incorrect because it is a known fact that courtesans dressed almost identical to aristocratic women, meaning that the portraits that are being identified as courtesans may in fact be aristocratic women and vice versa. Because of scholars misinterpreting portraits, there is much ambiguity concerning the true sitters behind these paintings as well as the validity behind what is known about the lifestyles of Venetian women in general.